Native azaleas; spring in Georgia. Photo by John Tracy/Flickr (Use Permitted with Attribution). 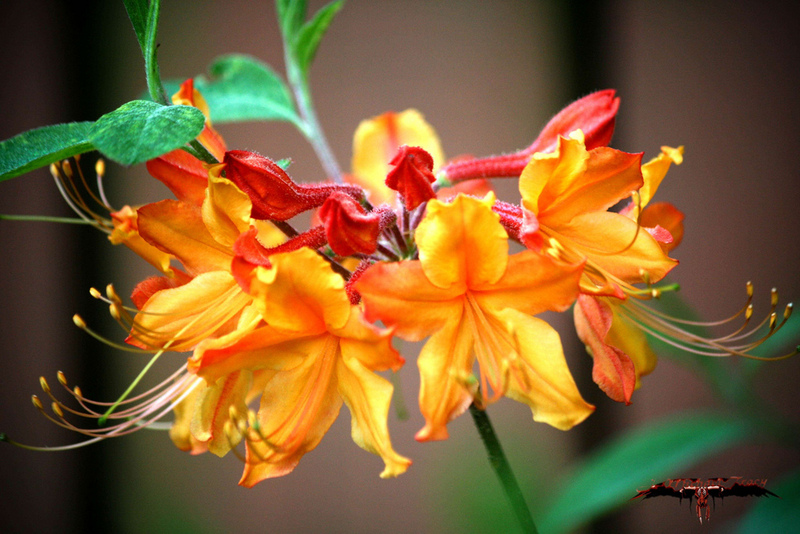 Blooming from March through August, native azaleas are dazzling wildflowers ranging in color from white to yellow, orange, scarlet, crimson, and intermediate shades and blotches. 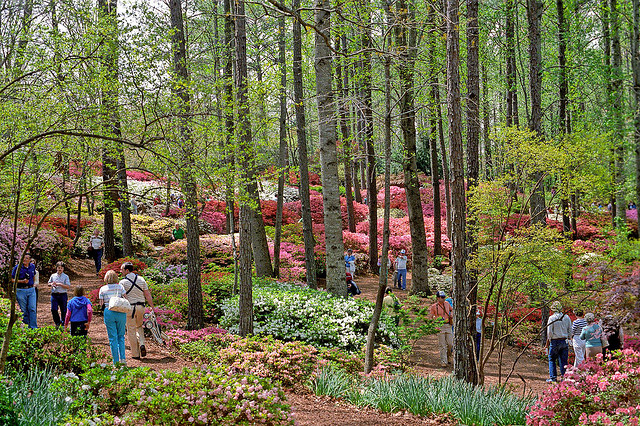 No specific variety of azalea was selected to represent Georgia, but several native varieties are mentioned in the resolution as occurring in every county of the state (including Rhododendron Austrinum, prunifolium, canescens, alabamense, calendulaceum, speciosum, arborescens, and serrulatum). Azaleas blooming in Callaway Gardens, Georgia; photo by rjcox on Flickr (noncommercial use permitted with attribution / no derivative works).